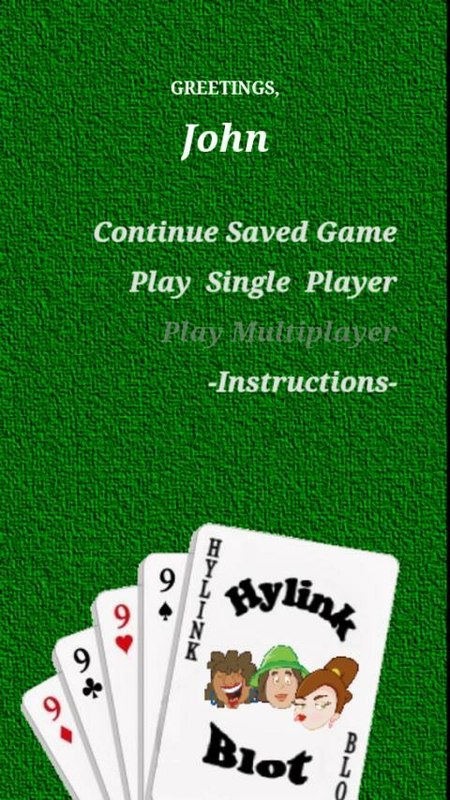 HylinkApps brings this classic 4-player 32-card trick-taking gameto the Android market. In this version of game we addedmulti-player mode. Please be aware that this application uses testserver with restricted capacities and limited life-time, while theproduction server version is being worked on. Currently we aregoing to support only 100 online users simultaneously and only 8tables are available in 2 different rooms. One room is for playingtill 301 points and another one for short games - till 101. Please report any issue that you might encounter. Games closely related to French Belote are played throughout theworld. It's derived around 1920 in France, probably fromKlaverjassen, a game played since at least 1600's in Netherlands.In Bulgarian the official name is Bridge-Belote, in Greece it iscalled Vida, in Cyprus it is called Pilotta. In Croatian Bela. Inthe Republic of Macedonia it is Belyot, in Saudi Arabia isBaloot. Bazaar Belote is the Armenian version of the popular card gameBelote. If you like this game, please consider installing Donateversion. It is exactly the same game - just with a small ($1.29)token of appreciation. HylinkApps brings this classic 4-player 32-card trick-taking gameto the Android market. In this version of game we addedmulti-player mode. Please be aware that this application uses testserver with restricted capacities and limited life-time, while theproduction server version is being worked on. Currently we aregoing to support only 100 online users simultaneously and only 8tables are available in 2 different rooms. One room is for playingtill 301 points and another one for short games - till 101.Please report any issue that you might encounter.Games closely related to French Belote are played throughout theworld. It's derived around 1920 in France, probably fromKlaverjassen, a game played since at least 1600's in Netherlands.In Bulgarian the official name is Bridge-Belote, in Greece it iscalled Vida, in Cyprus it is called Pilotta. In Croatian Bela. Inthe Republic of Macedonia it is Belyot, in Saudi Arabia isBaloot.Bazaar Belote is the Armenian version of the popular card gameBelote.main features:- rich user interface for playing & bidding, smoothanimations- designed for both Tablet and Phone- works nice in landscape and portrait- help screen with game rules- save/restore possibility- 12 decks of cards to choose from- game can be installed on SD card or on device- no ads- multi-player mode (on test server)If you like this game, please consider installing Donateversion. It is exactly the same game - just with a small ($1.29)token of appreciation. Calculate tips and split bills quickly and easily with Hylink TipCalculator!Looks as simple as possible - just enter subtotal, settip percent and receive accurate results.But inside it packs a lotof features:Need to split the bill - just enter number ofpersons.Usually tip the same - set default tip percent.Tired of allthose pennies - turn on rounding of tip or total and set roundinglevel.Want to handle taxes - switch to medium mode and enter taxpercent or value.You are in other country - change currencysymbol.And best of all - it's absolutely free. No ads, nopermissions, download and start to use.Enjoy excellent tipcalculator brought to you by our engineers. 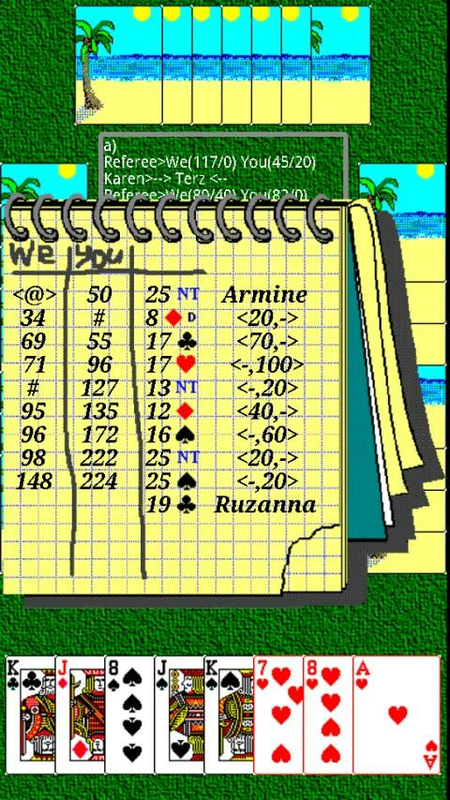 Bazar Blot Club is one of the popular cardgames played in Armenia. Instead of Durak, Nardi and Poker playersmost often prefer to play Blot. During these five years Bazar BlotClub managed to involve the outdoors offline Blot players into theonline space keeping the taste and rules of Armenian Blot. We gavea great chance to all the lovers of Blot to play wherever they wantto; bus stop, metro, in office (away from the manager's eye:)With Bazar Blot Club you can:- Play Blot with contestants from all over the world- Invite your Facebook, Odnoklasniki and VKontakte friends to jointhe game- Play the same game on many devices and in social networks- Check your stats and progress any time- Get free chips and other bonuses- And even more…Join the world’s most popular FREE Blot Club! آي بلوت iBaloot iBaloot is a turn-based single or multi-playerscard game popular in Arab world. Currently, the game supports threeplatforms, including Android. There is a logic and fun associatedwith the iBaloot. 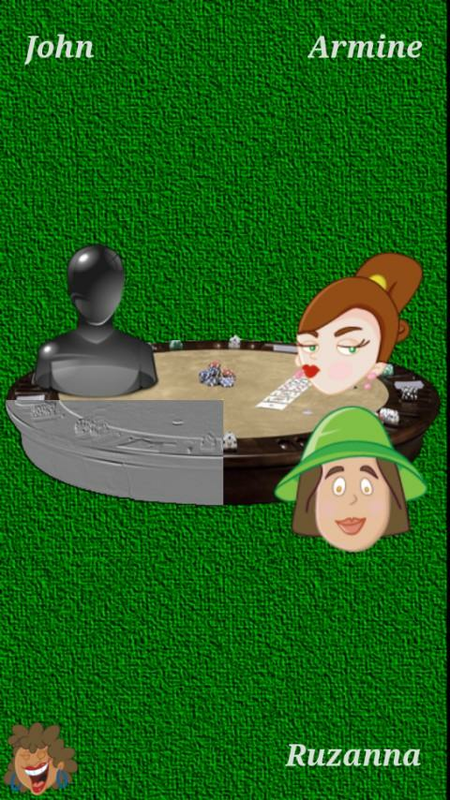 In the game, 4 players divide into 2 teams,two players in each and the rest of the game is played based onBaloot’s rules which are almost common everywhere. 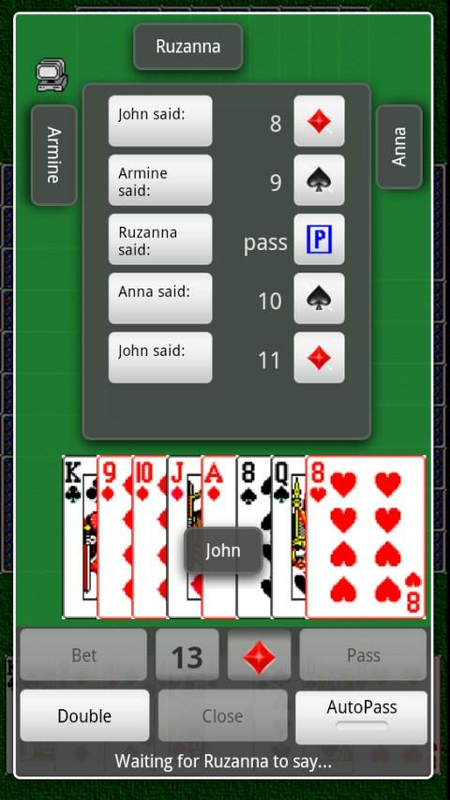 iBalootApplication simulates the real cards game to be more user friendlyand entertaining mobile version of the game. iBaloot provides asolutions for playing anytime and anywhere with anybody. In fact,ibaloot is becoming part of our society as you can see student,teachers, engineers, managers, doctors and almost everyone areenjoying playing baloot. iBaloot connects the new generation withthe old, makes friends and creates a levelof excitement and enjoyment about playingBaloot. iBaloot allows users to design his room, cards, avatar andhis local accent. No matter where you are, now you can enjoyplaying offline or online, ask your friends to play, send orreceive gifts, collect points and ranks yourself in the topplayers’ list. To make it a way attractive and communicable, we’veadded a new voice command feature. Using this feature, users willbe talk to their teammates with voice commands. We try to make thisgame as sociable as possible, where the players can add new friendsand make their own friend list. To make the game more interactiveand fun, we’ve added a new feature to enable players send andreceive the gifts from other players during the game. Discover a simple but efficient French Belote game, including alocal play mode, and a multiplayer online mode, to play withfriends or with people all over the world. In this game, no coinnor point is needed to play ! The multiplayer mode is free andunlimited ! It is very easy and quick to create or join a runningroom, and you won't be penalized if you leave before the end !Count trumps, make finesses, attack if you want to win… Days afterdays, improve your skills playing Belote and become a real Pro.You’ll see at the next tournament: It will worth the daily training! Let's try our game and share with us and your friends thepleasure to play Belote. Many options are available in the menus,to customize game rules and ergonomic settings. *** PLAY FRENCH BELOTE ON YOUR ANDROID SMARTPHONE OR TABLET ! ***Play the popular French Belote card game, against opponentssimulated by an high-level artificial intelligence. All officialrules and many variants are handled : - Play with or withoutdeclarations. - Play with No Trumps and All Trumps. *** HD GRAPHICS*** Easy to use, the game is very fast and responsive, with cardanimation for a more realistic gameplay, and hd graphics. 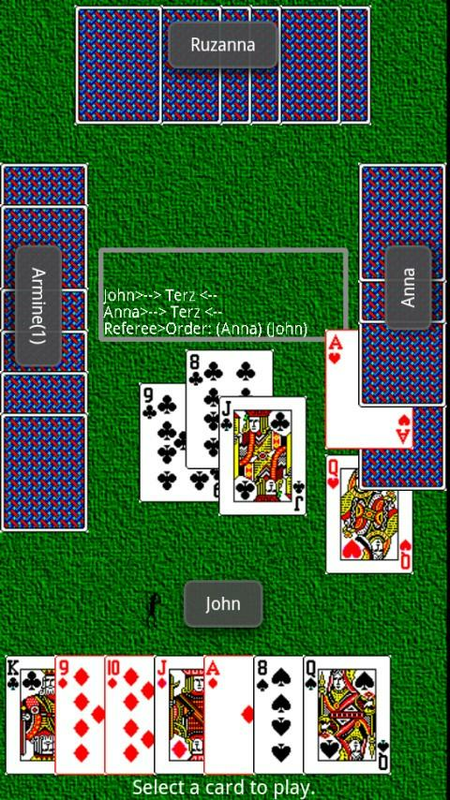 *** ANHIGH-LEVEL ARTIFICIAL INTELLIGENCE *** Your opponents and teammatesare simulated by an high-level artificial intelligence, that knowsthe common strategies used in french belote card game. Thereforethe game is very realistic, close to game with real players, andthe challenge is high. *** A CUSTOMIZABLE APPLICATION *** - Manyoptions to customize the rules. - Change the player's name. -Change the speed of the game. - Play automatically. - Direction onplay. - Visual theme. - And many more... *** AN APPLICATION THATWILL MAKE YOU BECOME BETTER *** A section with statistics isincluded in the application, allowing you to monitor the evolutionof our performances. For beginners, rules of French Belote are alsoincluded into the application. Finally, you can at the end of theround see all the tricks, and replay the round if you want, totrain and try new strategies. For any question regarding theapplication : [email protected] Have fun playing Belote! Belote GratuitLa Belote, tu adores ça ?! Grâce à Belote Gratuit joue n’importeoù et sans limite !Comparé à ses concurrents, Belote Gratuit à l’avantage dedisposer d’une intelligence robot bien plus performante.Contrairement aux autres applications de Belote, l’IntelligenceArtificielle de Belote Gratuit se rapproche du style de jeu humain.Elle sait prendre des risques calculés, tester de nouvellestechniques, et s’adapter à ton style de jeu pour t’impressionnertoujours plus.Plus tu joues à Belote Gratuit, plus tu t’améliores et teschances de battre l’ordinateur augmentent, mais n’oublies pas qu’ilen est de même pour l’application de Belote Gratuit…Fini les parties monotones et sans rebondissements, BeloteGratuit va devenir ton application préférée !Joue enfin à un autre jeu de carte en solitaire contrel'ordinateur, Belote Gratuit est là pour ça. Tarot gratuit estaussi disponible sur Android. Essaye-le !Pour jouer, télécharge Belote Gratuit Android, puis en fonctiondu temps que tu as, choisis une partie en 300, 500 ou 1200 points.Et c’est parti !Un dernier conseil : Quand tu joues, n’oublie pas d'annoncerbelote et rebelote…Belote Gratuit, un jeu programmé par et pour des amoureux de labelote !Free BeloteBelote, you love it! With Belote Free play anywhere andunlimited!Compared to its competitors, Belote Free to the advantage ofhaving a more powerful intelligence robot.Unlike other applications Belote, Artificial Intelligence BeloteFree approximates the human playing style. She knows how to takecalculated risks, try new techniques and adapt to your playingstyle to impress you more and more.The more you play at Free Belote more you improve and yourchances of beating the computer up, but do not forget that it isthe same for the purpose of Belote Free ...No more monotonous parties and without twists, Belote Free willbecome your favorite application!Finally plays another solo card game against the computer, BeloteFree is here for. Free Tarot is also available on Android. Tryit!To play Belote Free download Android, then by the time you have,choose a part 300, 500 or 1200 points. And here we go!One last tip: When you play, do not forget to announce Beloteand rebelote ...Free Belote, a game programmed by and for lovers of cardgames! ** PLAY FRENCH COINCHE ON YOUR ANDROID SMARTPHONE OR TABLET ! ***Play to the popular French Coinche card game, also named BeloteContree on Belote Coinchee against opponents simulated by anhigh-level artificial intelligence. All official rules are handled: - Play with or without declarations. - Play with No Trumps andAll Trumps. - Coinche at any time - Surcoinche. - Several scoringoptions. *** HD GRAPHICS *** Easy to use, the game is very fast andresponsive, with card animation for a more realistic gameplay, andhd graphics. *** AN HIGH-LEVEL ARTIFICIAL INTELLIGENCE *** Youropponents and teamates are simulated by an high-level artificialintelligence, that knows the common strategies used in frenchcoinche card game. Therefore the game is very realistic, close togame with real players, and the challenge is high. *** ACUSTOMIZABLE APPLICATION *** - Many options to customize the rules.- Change the player's name. - Change the speed of the game. *** ANAPPLICATION THAT WILL MAKE YOU BECOME BETTER *** A section withstatistics is included in the application, allowing you to monitorthe evolution of our performances. For beginners, rules of FrenchCoinche are also included into the application. Finally, you can atthe end of the round see all the tricks, and replay the round ifyou want, to train and try new strategies. For any questionregarding the application : [email protected] Have funplaying Coinche !